EconoStak Information - Nationwide Boiler Inc.
A proven method of immediate efficiency gains is reducing flue gas temperature. Flue gas temperature is the temperature of combustion gases that exit a boiler’s stack. EconoStak economizers, supplied by Nationwide Boiler, are used to capture and utilize the heat of the flue gas to preheat the boiler feedwater. In most instances, a decrease of the flue gas temperature by 40F increases efficiency by one percentage point, resulting in significant cost savings. Nationwide Boiler’s EconoStak economizers are available on rental equipment as well as for permanent field retrofits. 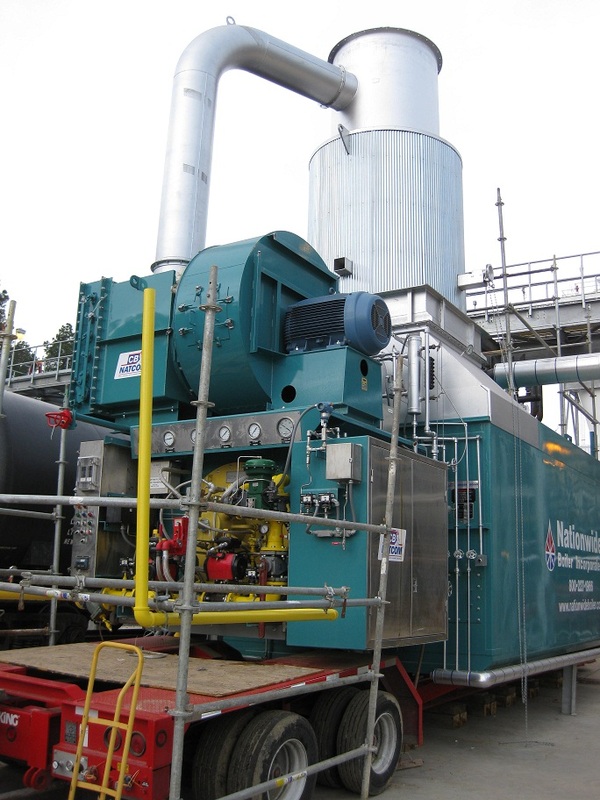 Many of our rental boilers 75,000 lb/hr and above come standard with an economizer for added fuel efficiency.